Winchester is a small town located in the Shenandoah Valley region of Virginia with charming shops, unique restaurants, historic architecture and landmarks, and a wide variety of recreation opportunities within an easy drive. Old Town Winchester is the artistic hub of the region with concerts, plays, operas, and other cultural events throughout the year. This area is fun to explore and makes for an easy day trip or weekend getaway from Washington, D.C.
Winchester is located in the Northern Shenandoah Valley, just 72 miles northwest of Washington, D.C. and 22 miles north of Shenandoah National Park. From Washington, D.C.: Take Route 66 West to I-81 North, Exit 313 or Take VA-267 W (Dulles Toll Road) to VA-7 W at exit 1A, continue on VA-7 to Winchester. Winchester played an important role in George Washington’s life as his military and political career began there. Washington visited Frederick County, Virginia, at the age of 16 to survey the lands of Thomas, the Sixth Lord Fairfax. In 1756, he supervised the construction of Fort Loudoun, the fort that served as the command center for the VA Regiment during the French and Indian War. He was elected to his first public office as the county’s representative to the House of Burgesses. Winchester and Frederick County were the scene of six battles during the Civil War, and the city itself changed flags around 70 times during the four-year conflict. General Thomas “Stonewall” Jackson demonstrated his military leadership in the Valley Campaign. Jackson set up his headquarters from a home in Old Town Winchester during the winter of 1861–1862. Founded in 1744 by Colonel James Wood, Winchester is the oldest city in the Commonwealth of Virginia west of the Blue Ridge Mountains. The historic district has many beautifully restored Federalist-style structures and is an interesting place to explore. 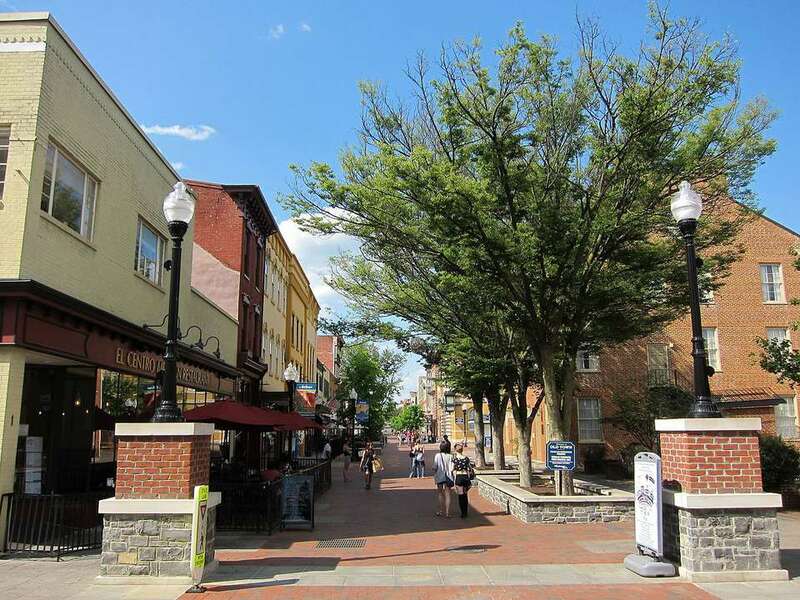 The heart of town is the Loudoun Street Walking Mall, which is a four-block pedestrian-only area bordered by Washington, Fairfax, Clifford, and Kent Streets. Stop by the Winchester-Frederick County Visitor Center, located at 1400 S. Pleasant Valley Rd., to find maps and brochures and watch an orientation film. Purchase a block ticket for admission to Abram’s Delight Museum, Stonewall Jackson’s Headquarters Museum, and George Washington’s Office Museum. The guides at all of the museums are very knowledgeable and friendly. The tours are short and you can easily visit all three attractions in one day. Take time to stroll through Old Town Winchester, and appreciate the historic architecture. Enjoy a relaxing meal at one of the town’s restaurants. There’s a variety of cuisine ranging from casual fare to fine dining. Take a peek inside the Handley Regional Library, and marvel over the beautiful architecture of the historic building. Visit the Museum of the Shenandoah Valley, located just outside of town and be sure to explore the gardens of the Glen Burnie Historic House. Attend one of the town’s many festivals or cultural events (see a list of major events listed below). Take a drive, and visit many of the popular attractions in the surrounding areas of Frederick County. The Museum of the Shenandoah Valley: 901 Amherst St. Located just outside of Old Town, the museum interprets the art, history, and culture of the Shenandoah Valley. The museum complex also includes the Glen Burnie Historic House and six acres of spectacular gardens. George Washington's Office Museum: 32 West Cork St. George Washington used this small log building in Winchester as a military office while Fort Loudoun was being constructed at the north end of town. The building now serves as a museum and tells the story of how Washington planned Fort Loudoun and displays some of his personal items, surveying equipment, and a model of Winchester circa 1755. Stonewall Jackson's Headquarters Museum: 415 N. Braddock St. This historic home was used as headquarters by General Jackson during the winter of 1861–1862. The house contains the largest collection of Jackson memorabilia and personal objects from members of his staff. Shenandoah Valley Civil War Museum: 20 N. Loudoun St. This Georgian style 1840 courthouse maintains a nationally recognized collection of Civil War artifacts and provides tours of the building. The building was used as a hospital and prison during the Civil War. Handley Regional Library: 100 W. Piccadilly St. The Beaux-Arts style building is an architectural marvel. Judge John Handley of Scranton, Pennsylvania, left $250,000 in his will to build the public library for the city of Winchester. The Stewart Bell Jr. Archives, located in the basement of the library, houses an extensive collection of materials on the people, places, and events of lower Shenandoah Valley from 1732 to present. The Winchester Little Theatre: 315 W. Boscawen St. Dating back to 1929, the theater serves as a venue for community entertainment and culture. Bright Box Theater: 15 N. Loudoun St. Bright Box is Winchester's premiere performance and events venue with state-of-the-art sound, lighting, and projection equipment. Bright Box provides a dynamic space for concerts, comedy, film screenings, art shows, private parties, fundraisers, and other events. Patsy Cline Historic House: 608 S. Kent St. The landmark is on the National Register of Historic Places. Singer Patsy Cline resided here from 1948–57. A 45-minute tour is offered April–October. Shenandoah Valley Discovery Museum: 19 W. Cork St. The children’s museum provides a variety of interactive, hands-on exhibits and programs that focus on the sciences and mathematics, humanities, and arts. Belle Grove Plantation: 336 Belle Grove Rd., Middletown, VA. Situated on 283 acres, the 1797 Manor House was built by Major Isaac Hite and his wife Nelly Madison Hite, who was the sister of President James Madison. The plantation offers breathtaking mountain views of the Shenandoah Valley. Visitors can explore the Manor House, 1815 icehouse and smokehouse, garden, slave cemetery, and apple orchard. Dinosaur Land: 3848 Stonewall Jackson Hwy., White Post, VA. The attraction features more than 50 dinosaurs, inviting visitors to step into the world of the prehistoric past when dinosaurs were one of the few creatures that roamed the earth. Cedar Creek and Belle Grove National Historical Park: 7712 Main St., Middletown, VA. The 3,500-acre historic site offers free programs and exhibits covering the history of the Shenandoah Valley, the Civil War, and Battle of Cedar Creek. Historic Long Branch: 830 Long Branch. Millwood, VA. The 18th-century Greek Revival Mansion is exquisitely restored and furnished with period antiques. The house and gardens are the home of the Shenandoah Valley Wine and Music Festival.